This hotel is located in close proximity to Nathan Road on the Kowloon Peninsula, a bustling hub where guests will find a range of live entertainment venues. Further attractions include the nearby flower markets and shopping centres. 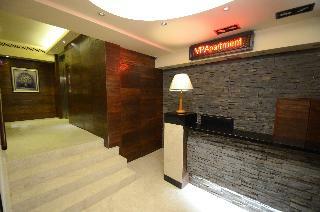 The hotel features a 24-hour reception and safe. 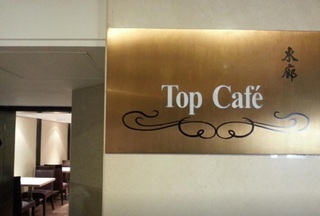 Also there is a restaurant, lounge bar and café. Business guests will appreciate the business centre and conference facilities. The hotel's guestrooms enjoy views of downtown Kowloon and come fully equipped. The en suite bathrooms feature a shower and a hairdryer, and spacious single, twin or double beds are provided. 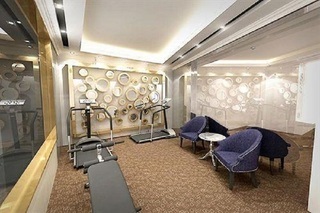 Guests can enjoy a work-out in the hotel gym or relax in the sauna, hot tub or steam room. Guests can dine in either the hotel's restaurant, lounge bar or the Top Cafe, which serves international cuisine for all-day dining. Breakfast is served daily. This comfortable hotel is ideally situated at the west side of Kowloon Peninsula near the developing Western Culture area. There are nearby places of interest like the computer shopping centre and home appliance market as well as the historic old mansion of Lui Seng Chun. The property is only 5 minutes’ walking distance from MTR Prince Edward station and within easy reach from the busy Nathan Road with many entertainment options. Guests staying at this property will enjoy a well-deserved and restful night’s sleep at the pleasant guest rooms available. There are additional services and facilities for guests’ benefit, such as a luggage storage service and fitness room for those who want to keep active while away. Powerful air con. Clean. Nice beds. Good service. Good location. Easy access to tube station. Nice restaurant nearby.